Next ArticleWhat to Eat While You're on a Boat? 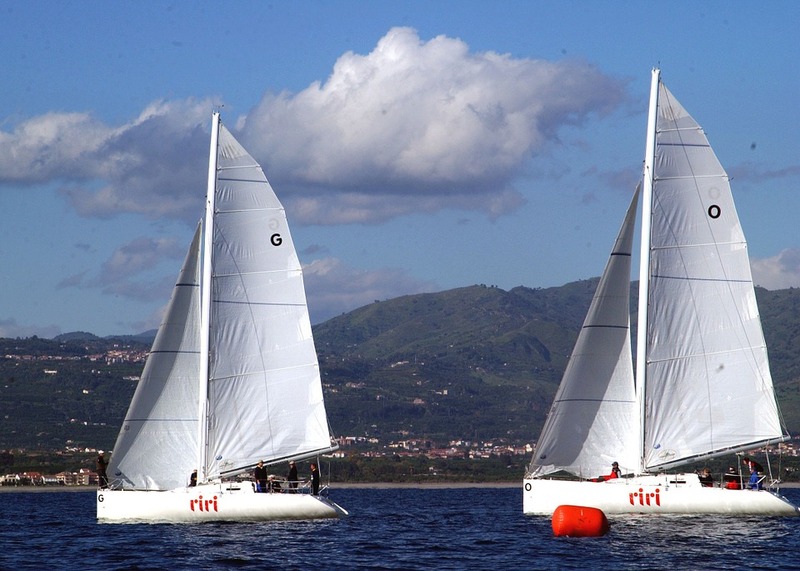 Sicily is one of the most fascinating sailing destinations in Italy. Renowned for its rich cultural patrimony, the biggest island in the Mediterranean displays the proofs of various civilizations that inhabited it since remote times. Phoenician, Greek, Arab and Norman influences melded together creating a unique heritage. Sicily features amazing beaches and breathtaking landscapes. If you consider it as your next holiday destination, here is one of the most popular sailing routes you can check out. Sicily’s capital is a premier touristic attraction that will impress you in myriad ways. 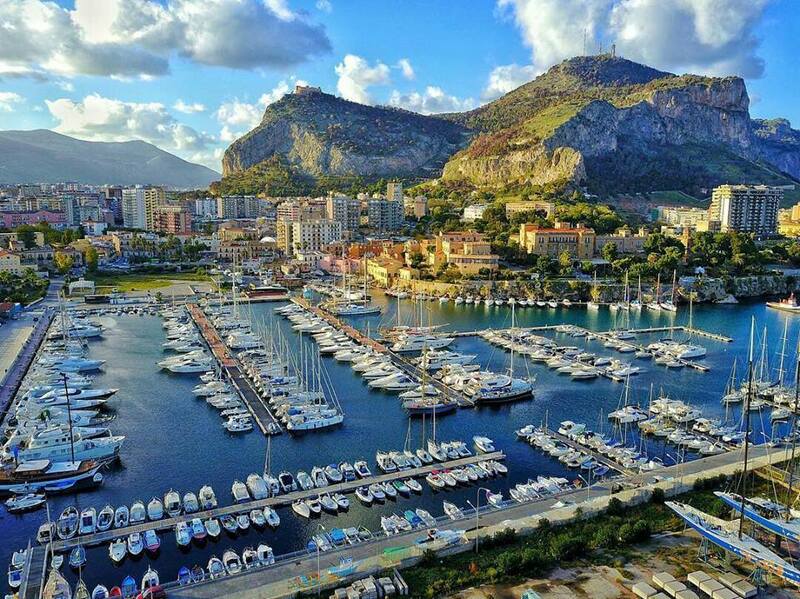 Palermo enjoys a privileged position being located in what is known as the Golden Basin or Conca D’Oro. The city is surrounded by a mountain range which makes it appealing to tourists who love hiking and sailing alike. Monte Pellegrino is one of the most popular places for those who want to admire the view of the Palermo Bay. This city boosts impressive green oases like Orto Botanico or Giradino Inglese where you can stroll down quiet alleys and admire nature’s gifts. 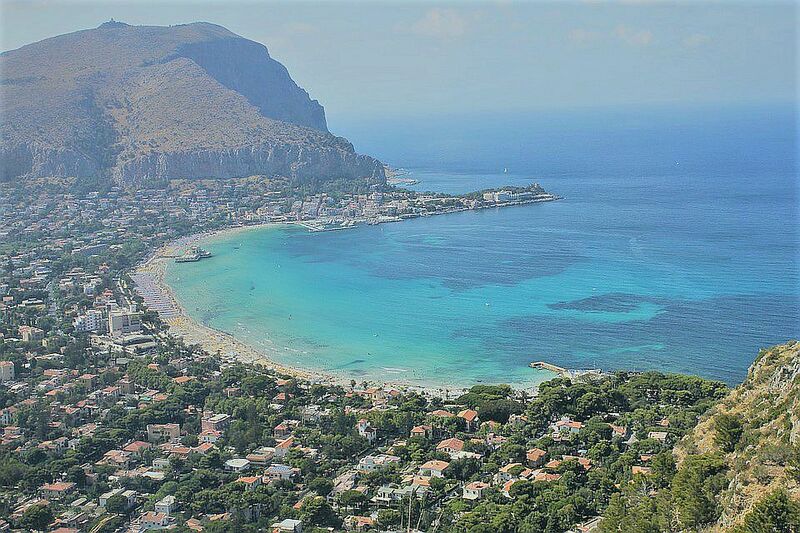 One of the main reasons for visitors to come to Palermo are the beautiful beaches around this city; some of the most famous ones are Aspra, San Vito Lo Capo, Arenella, Cefalu, Altavilla, Santa Flavia. Palermo’s rich in architectural and cultural interest points that will keep you busy. Some of the most popular objectives are the Royal Palace, Piazza Bellini, the Palermo Cathedral, the Regional Architectural Museum, Teatro Massimo, the Modern Art Gallery, the Catacombs of Cappucini, Palazzo dei Normanni, the Church of San Cataldo. This vibrant city provides a wide spectrum of cultural and artistic events and plenty opportunities to enjoy the nightlife. An amazingly diversified cuisine that reflects the island’s numerous influences is another reason to come here. Since you’ll want to enjoy the city to the full, you’ll need a good berth booking option and two of our suggestions are Marina Villa Igiea and Società Canottieri. 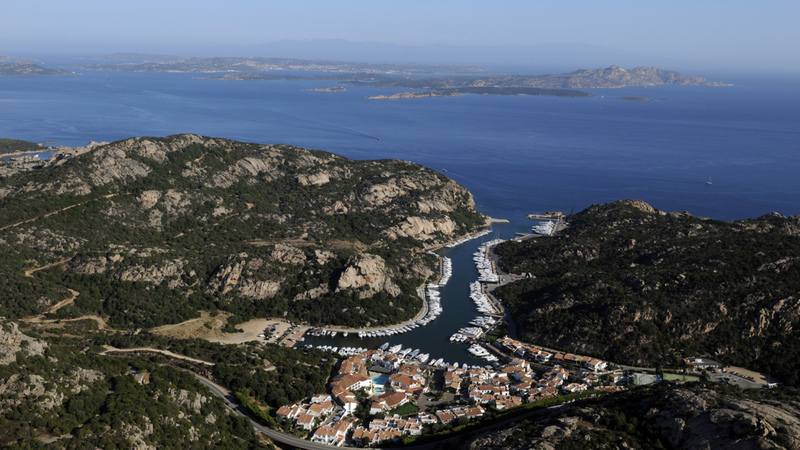 You can find more details about these marinas and their availability on our site. Ustica is one of Sicily’s major attractions for connoisseurs who want to explore new landscapes. This small volcanic island is one of those places where nature seems unspoiled by human touch. Ustica’s main attractions are in fact its natural assets. 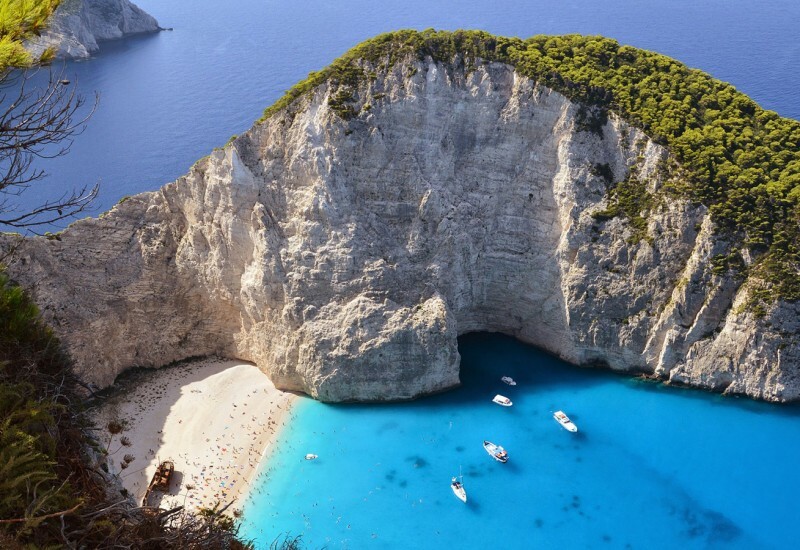 The island features a breathtaking bay, numerous surrounding caves, and plenty beaches. Its rocky shore is a perfect setting for those who like taking photos. The surrounding waters of the island have been turned into a reserve so they are protected. This hints at the fact that there are plenty underwater treasures that scuba divers would love to discover. Also, in the nearby travelers can explore the underwater shipwrecks. Some of them host Roman vestiges as Ustica’s rich underwater patrimony offers the possibility to visit a real archeological trail. One of the most famous destinations for swimmers is the rocky Piscina Naturale located on the island’s west shore. As for urban attractions, Ustica features the typical cozy Italian restaurants and cafés located along its three beautiful squares, plenty shops and a historical area where you can admire a blend of ancient and18th century architecture. If you want to book a berth nearby, our recommendation is Corta Marina located in Lipari. 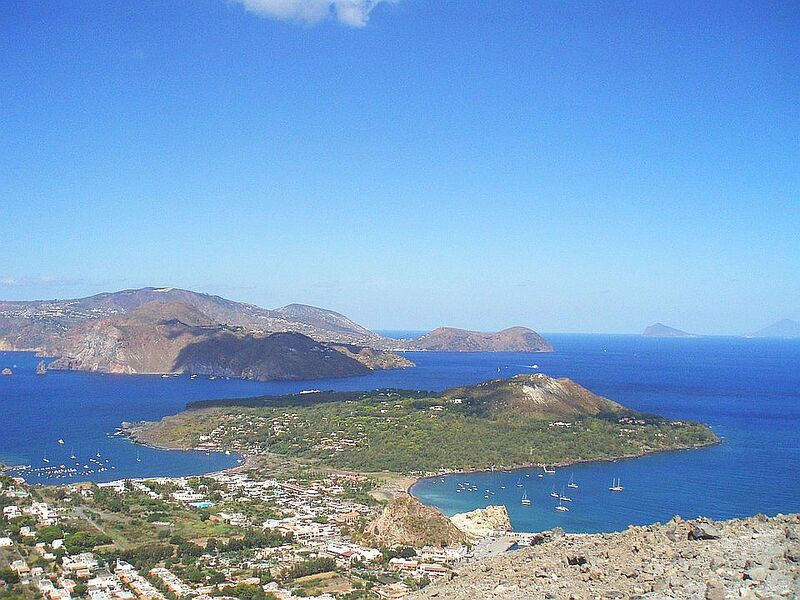 The Aeolian Islands are a terrific archipelago situated in the Tyrrhenian Sea. If you go to Sicily, take advantage of the short sailing distance that separates it from this volcanic archipelago and visit the Aeolian Islands. Salina: this is the second largest island of the Aeolian archipelago and one of the most alluring ones for nature lovers. Salina is the place to go if you want to wonder around surrounded by luxuriant vegetation. Stromboli: another majestic destination, Stromboli is also patronized by an imposing volcano that rises from the sea waters. This is a tranquil destination featuring only two settlements. This island’s volcano is active and it frequently registers minor eruptions. Stromboli is filled with beautiful coves and beaches and life here evolves at a slow pace that will help you chill down instantly. Vulcano: situated almost 20 km from the north of Sicily. This tiny island is a sight you’ll never forget because it proudly boasts its smoking crater. Most tourists who come here are fascinated by this rare attraction, so they take a walk along the volcano’s crater. This island is also famous for therapy mud baths are and for the unspoiled natural beauty of its shore. If you are looking for a berth in Vulcano, our suggestion is Baia Levante Marina. Panarea: the smallest island in the archipelago, Panarea boast a unique charm that sets it apart from her sisters. 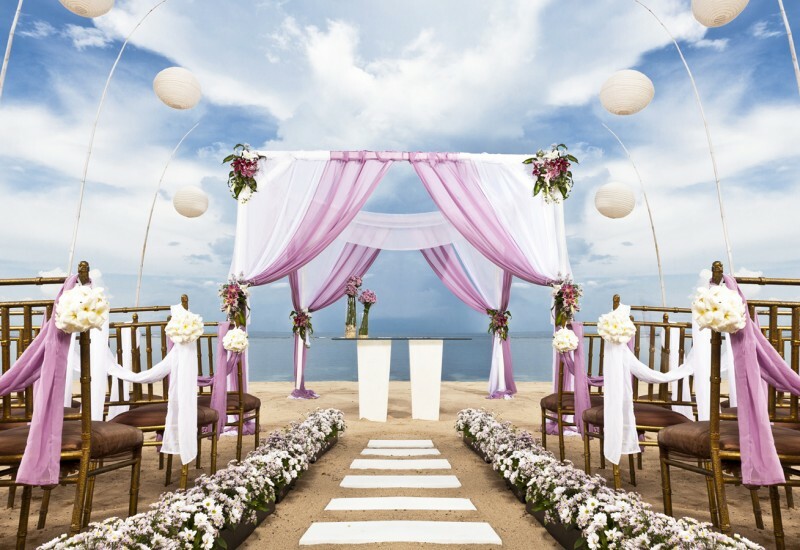 This is a top destination for VIP’s and the amenities provided here live up to these people’s expectations. 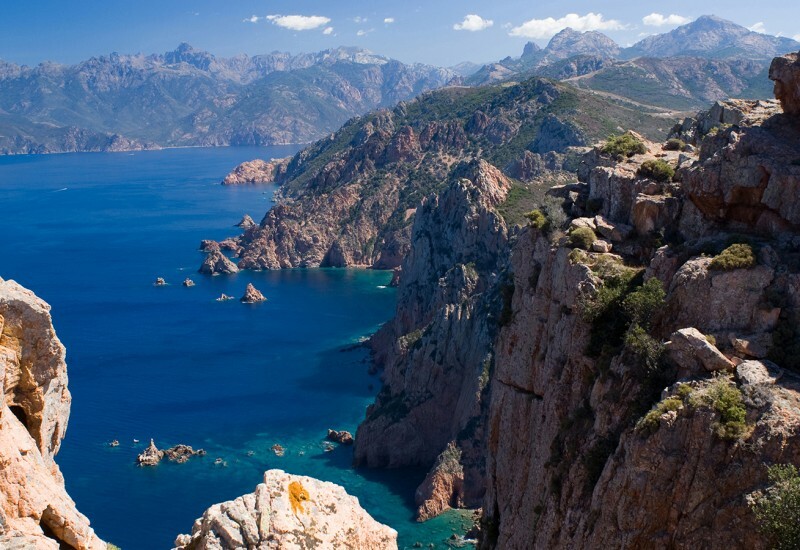 Alicudi: situated at the end of the island’s string, Alicudi is a peculiar location. Home to roughly 80 people, this island is utterly quiet. You won’t be bothered by the noise of the cars if you come here because this transport mean isn’t present in Alicudi. 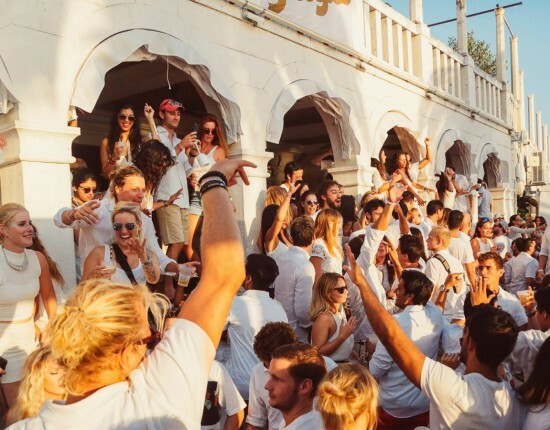 If you want to come here, accommodation options are limited, so book ahead; there is a hotel on the island and you can also find apartments for rent. Basiluzzo: this rocky islet is a nature’s wonder. It’s an oasis of tranquility that has not disturbed by human activity, but for the occasions when tourists decide to venture here for hiking. Wild vegetation and a scenic landscapes are two good reasons to reach Basiluzzo. Filicudi: this remote island is another must-see place if you like a peaceful vacation. Filicudi is not subject to massive tourism and its beautiful green setting will help you relax admiring nature’s gifts. Lipari: the largest island in the archipelago, Lipari enjoys a more effervescent life and is able to provide tourists a wide spectrum of services. The island’s capital which is also called Lipari contains the major historical attractions on the island: the Acropolis and a museum of archeology. A beautiful cathedral, plenty dining places, and fine sandy beaches are more reasons to include Lipari on your route. Moreover, this island is also loaded with accommodation options if you want to enjoy a longer stay. For those who want to book a berth in Lipari, Porto Pignataro is an ideal option. Portorosa is and elegant marina situated on the Northern coast of Sicily. This well-provided harbor will satisfy all your needs and ensure you a worry-free stay. The surrounding setting is the beautiful Patti Gulf. This is a safe docking place where your boat will be sheltered from winds. The marina offers quick access to the nearby Aeolian Islands and anything you might desire on site – swimming pool, a fancy yacht club café, technical assistance, and the chance to fish or go scuba diving. Marina di Portorosa is a great stop where you can rest before setting off for your new Sicilian destination. Taormina is a small, but magnetizing city situated on Sicily’s eastern coast. This is one on the most prominent touristic destinations on the island. 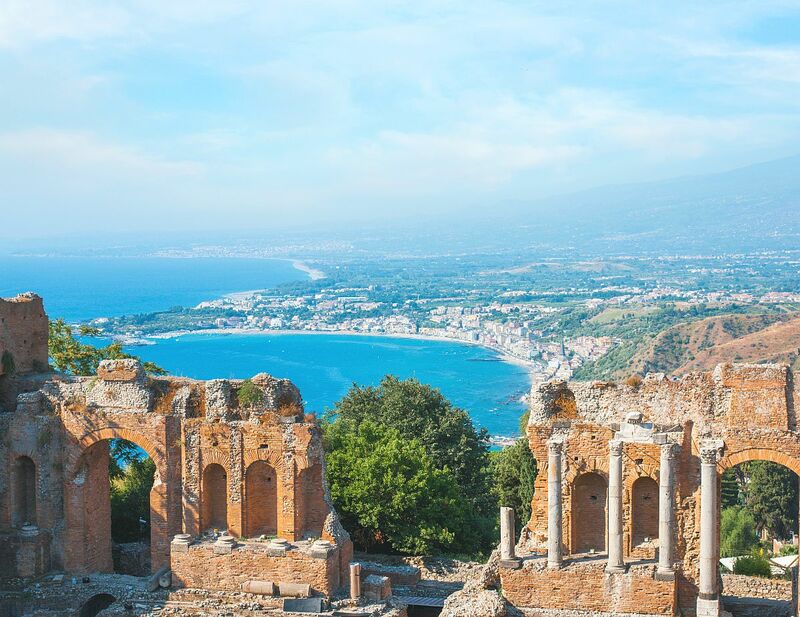 From ancient remains to engaging events and a tasty cuisine, Taormina has all the ingredient to make you want to spend your 6th cruise day here. 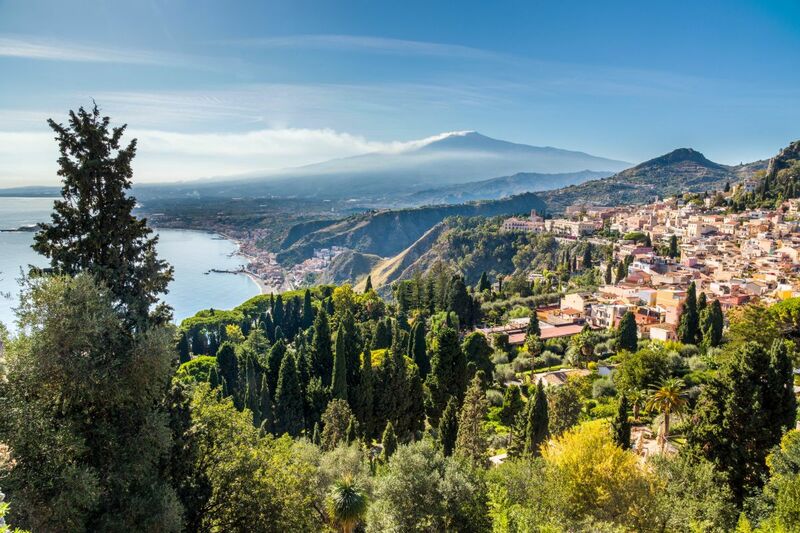 Nestled among cliffs, Taormina features some breathtaking views of the sea and the surrounding landscape. If you come here, taking a walk on the hill top to admire this image is a must. This is a terraced city that has been inhabited since ancient times. Nowadays one of the remaining historical proofs of those remote times is the Greek theaters, a landmark of the town. Other interest points are Torre dell’Orologio, Palazzo Ciampoli, Palazzo Duca di Santo Stefano the Saracen Castle, Chiesa San Giuseppe, Santuario Madonna della Roccca. Probably the most popular places in Taormina are Corso Umberto I where, besides some of the previously mentioned sights, tourists can also stop for a shopping session. Marina Giardini Naxos is our suggestion for a berth reservation here. Catania is the second largest city in Sicily and one of the most popular destinations on the island. 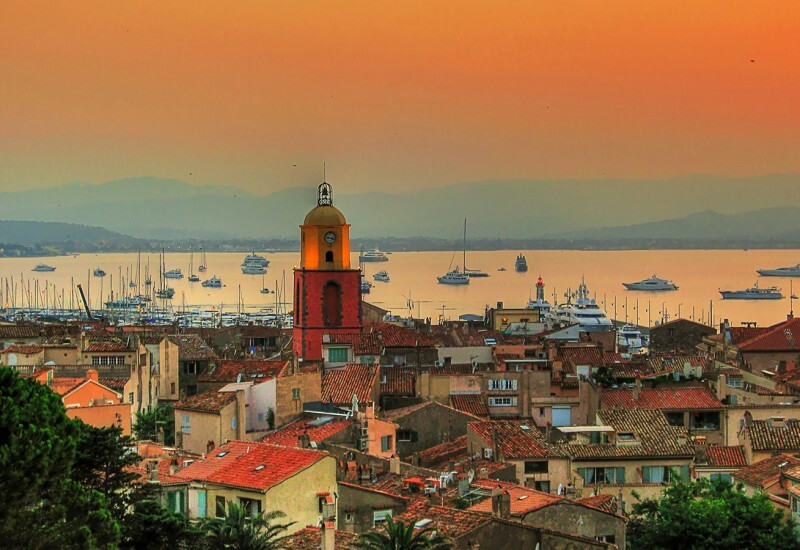 This settlement was an ancient Greek colony that has been influenced during the centuries by other cultures as well; Romans, Carthaginians, Osthrogots, Spanish, Normans, all left their traces in the multicultural heritage of this city. Catania is filled with historical and cultural attractions. Some of the most important places to check out are Museo Civico, Teatro Romano, Palazzo Biscari, Piazza del Duomo, San Nicolo l’Arena, Castello Ursino, Basilica Cattedrale Sant’Agata, Monastero dei Benedettini, Acu Castello. Besides these city attractions, one of the most popular activities for tourists is a trip to mount Etna, the impressive active volcano that dominates this city’s landscape. Marina Club Nautico Catania is a perfect berth booking options if you want to dock in Catania. 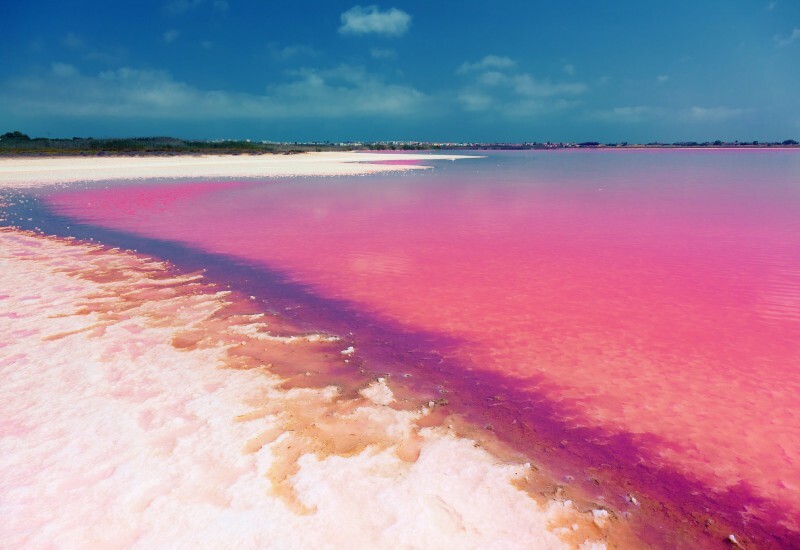 Reading about these beautiful places is nothing compared to actually seeing them. Sicily is an incredibly beautiful destination and every boat owner should come here at least once in a lifetime. 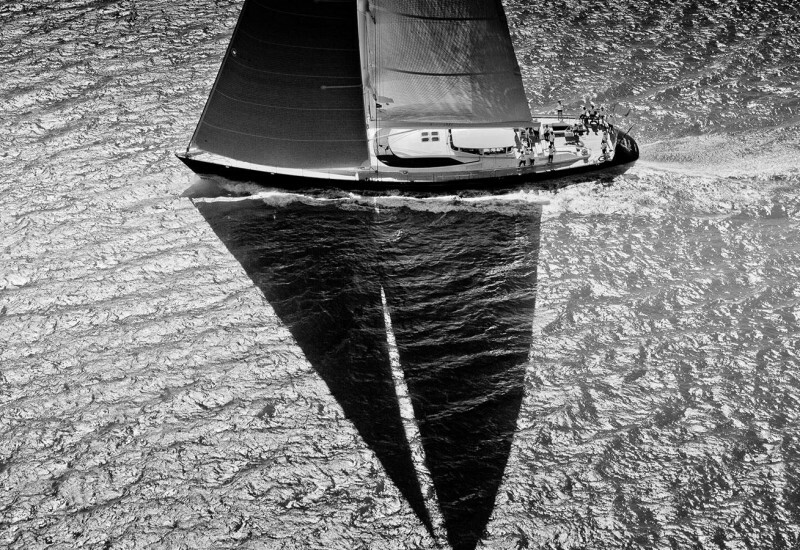 If you’re in the mood to learn more about touristic destinations you can sail to, check out the rest of our posts.